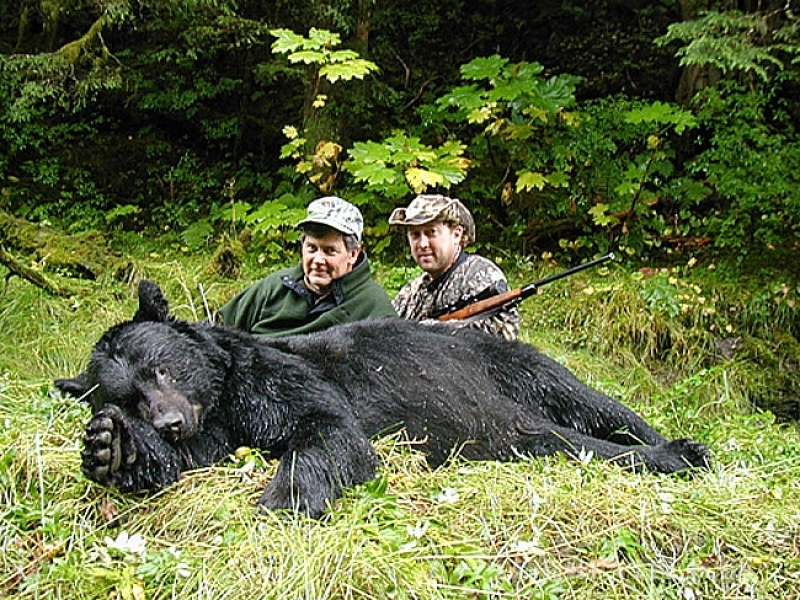 AK Coastal Guiding offers both Brown and Black Bear hunts on the mainland coast and ABC islands of Southeast Alaska. The old growth rain forest and literally hundreds of natural salmon streams of the Tongass National Forest provide a rich diet for the largest concentration of Brown and Black Bears in North America. 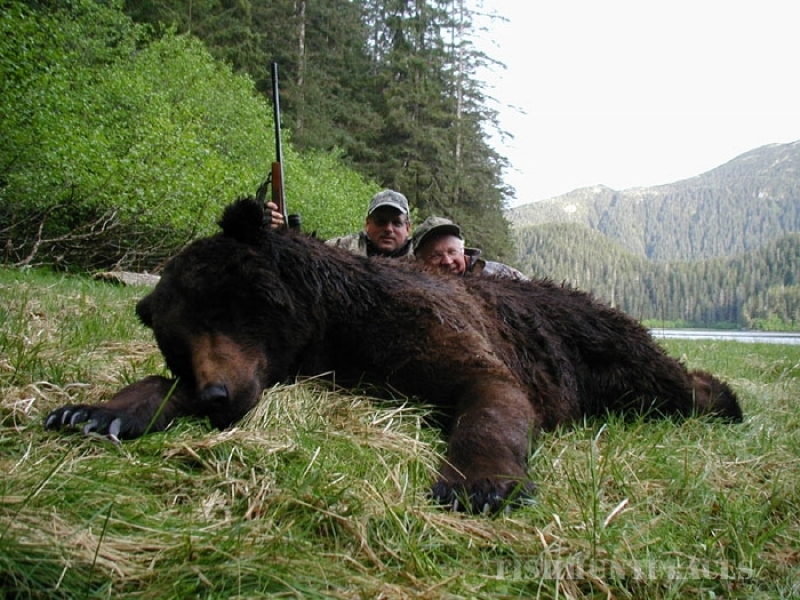 Brown Bears ranging between 8 1/2 to 9 1/2 feet are commonly taken, with an occasional larger one now and then, Black Bears average 7 to 7 1/2 and sometimes as much as 8 feet. 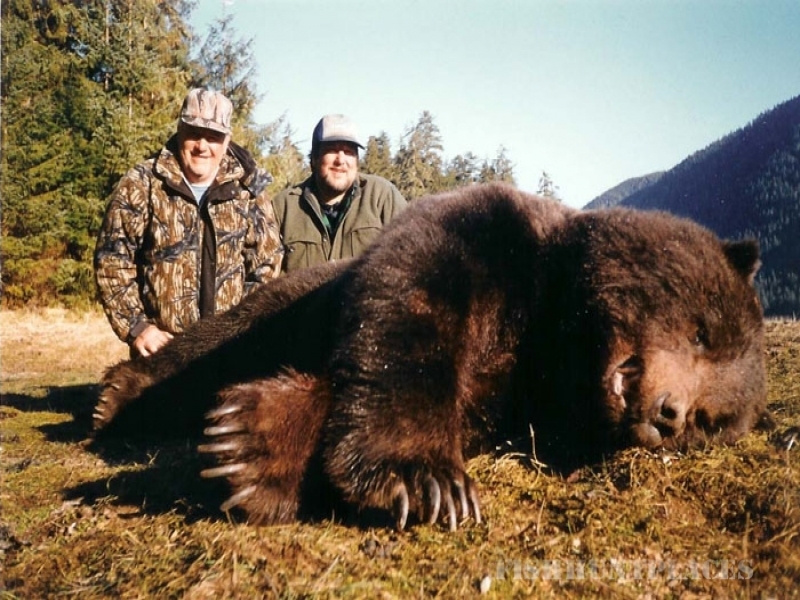 Our success rate averages between 85% and 100% weather depending, which is why our hunts are so long as to ensure you the best opportunity at taking a trophy. 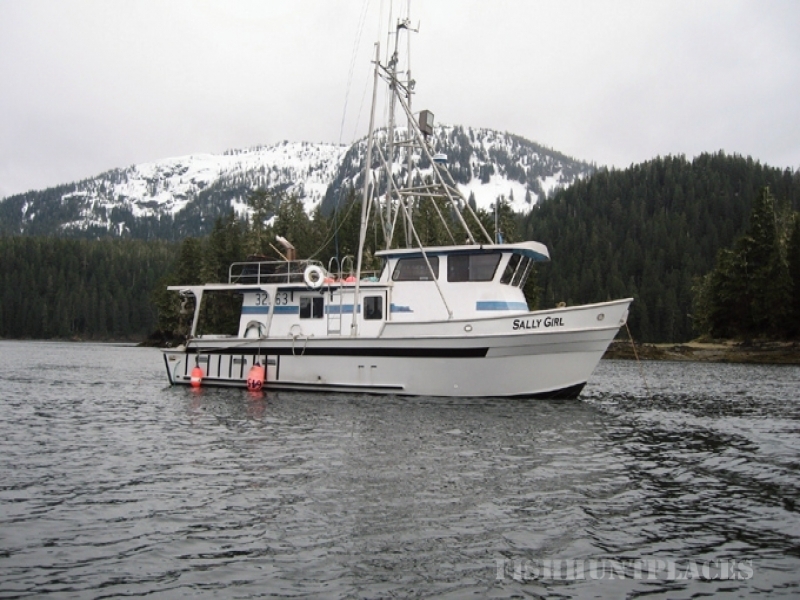 All hunts are conducted aboard the 48 foot vessel “Sally Girl” where you will enjoy warm and comfortable bunks, hot showers, and excellent meals including seafood (halibut, salmon, crab) caught fresh during your trip. We will travel from one bay to another on board the Sally Girl using her as both home base and spotting platform. Once we have reached our destination you and your guide will embark in your hunting skiff to explore hidden bays, sloughs, and estuaries or stalk up the many salmon streams in pursuit of your Bear. We pride ourselves in experience and local knowledge and are truly dedicated to working as hard as we can to make your hunt a successful one. 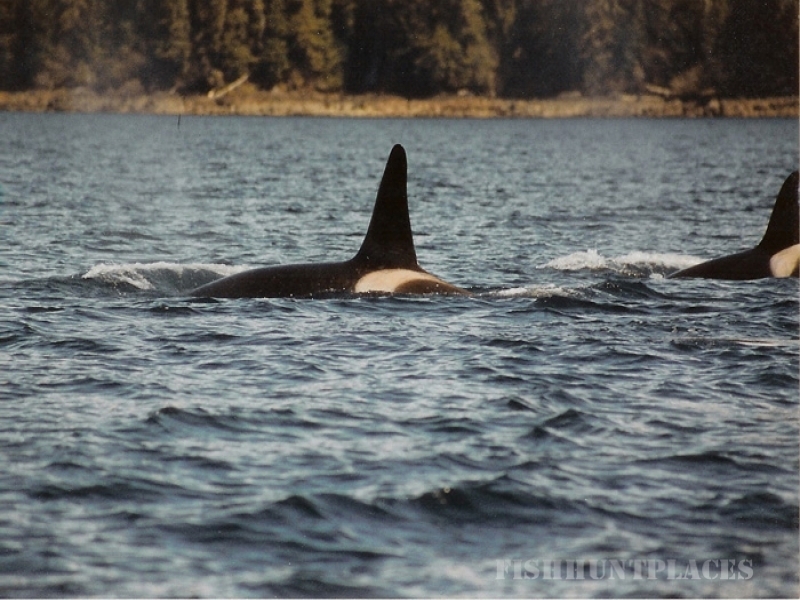 Mike Sofoulis, owner of Alaska Coastal Guiding was born and raised in Juneau Alaska , and has spent his entire life hunting and fishing this region. 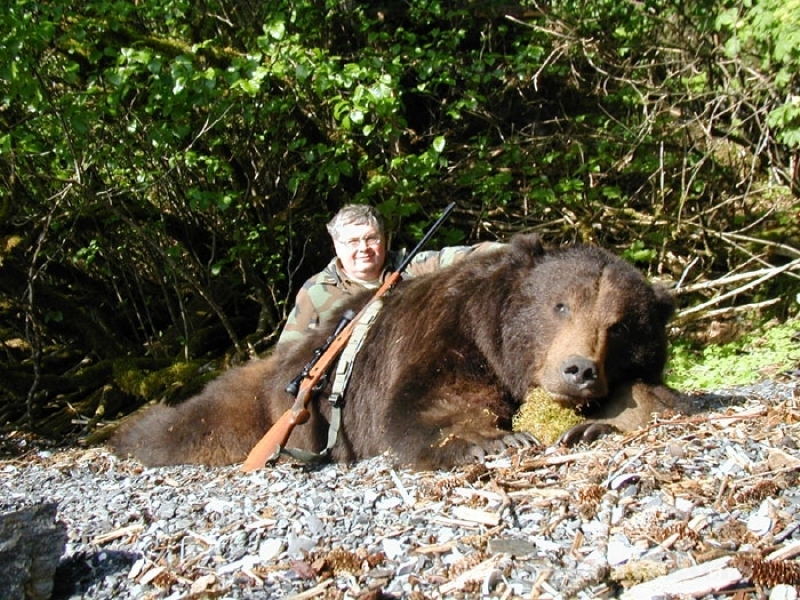 He is both a commercial fisherman, and a registered guide and has been guiding bear hunters in Southeast Alaska since 1990. 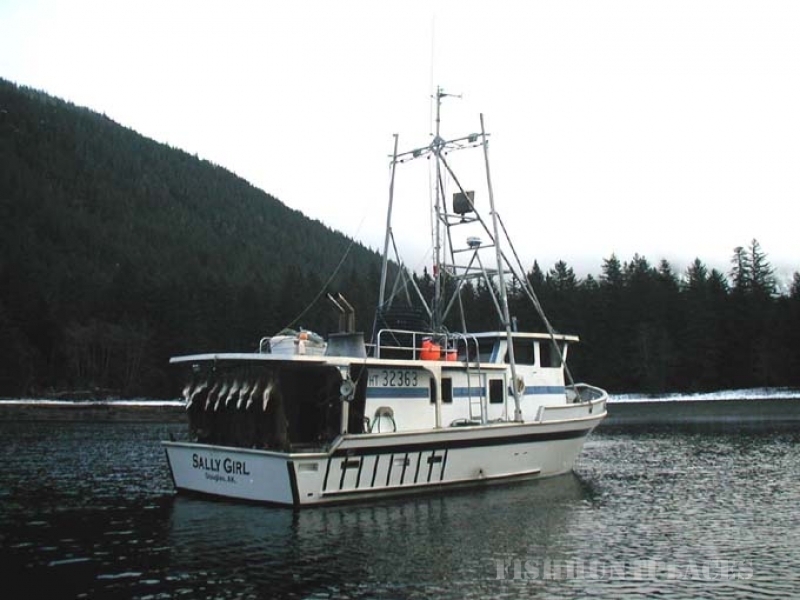 He has a coast guard masters license and operates under Tongass National Forest special use and priority use permits.